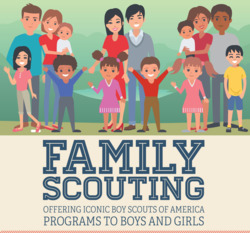 In October 2017, the Boy Scouts of America took the historic step of deciding to allow girls into our Cub Scouting and Boy Scouting programs The introduction of Family Scouting, as it’s known, into Cub Scout packs was to begin by the fall recruiting season in 2018, while the parallel program for girls of Boy Scout age is due to start sometime in 2019. Now, under the Early Adopter program, councils which opt-in are allowing packs to begin recruiting girls this winter. Starting January 15, girls in kindergarten through fourth grade – Lions, Tigers, Wolves, Bears and Webelos – can form dens and begin working toward their ranks. They probably won’t make rank when the boys recruited in the fall will (typically by the Blue & Gold Banquet), but they can get going with the fun and adventure, and receive recognition by the time school’s out (with a deadline of May 31). The chartered organization must approve registering girls. 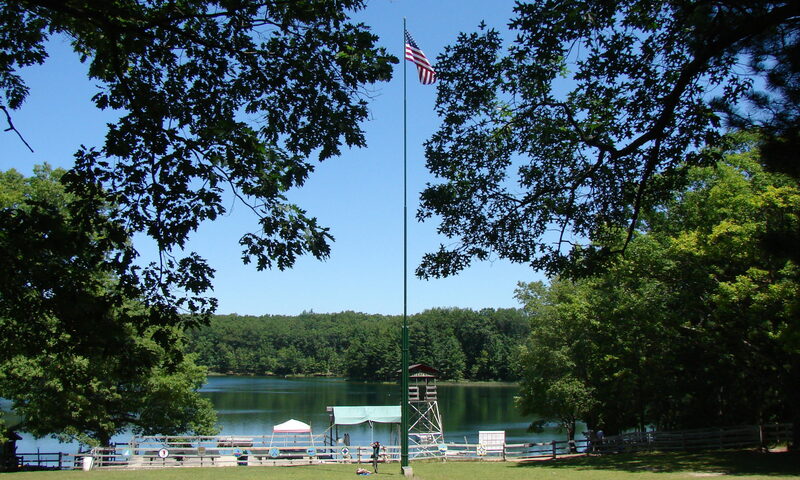 Registration applications are completed and submitted online – no paper forms. New members are charged a pro-rata membership fee for the months between the join date and the charter renewal if it is less than twelve months. Separate girls-only dens by rank are to be established and there must be a minimum of 4 girls in any den; however, dens of different ranks can be combined to make up a minimum of four, and each girl works toward earning the age- and grade-appropriate rank. At least one registered female leader with Youth Protection Training is required, and all leaders must be Trained in their positions. Girls in fifth grade are excluded for now, because there is no established program for them to transition to upon receiving Arrow of Light. That’s not expected until 2019. Note the requirement for separate dens for boys and girls. 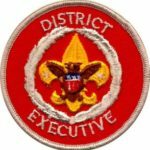 For those recruiting this winter, this is almost a must because the boys’ dens will be much farther along than the girls’ dens, and to lump them together not only goes against BSA’s policy but will leave the girls without the program necessary to earn their rank this year. In future years, there’ll be opportunities to do joint activities, but dens will still be organized by gender with separate leadership. Those who miss the March 15 deadline will have to wait until fall recruiting to join at the next grade level. There’s more information about the early adopter program in this list of questions and answers. To find out if your pack can recruit girls now, check with your local council. If you’re eligible, be sure to discuss it with your chartered organization and get their approval before proceeding. Does your pack plan to recruit girls? How are you handling the process and the change? Please leave a comment below. 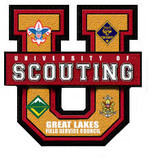 Invitation: If you are in the Southeast Michigan area, please join us for a day of interesting and informative sessions at the annual University of Scouting event on Saturday, January 27 at Lamphere High School in Madison Heights. I’ll be moderating a forum for committee chairs (course #BS117) during the 2:00 pm hour. Hope to see you there!